That’s their tagline. So, when they name Joi Ito as a new director of their Media Lab (I wrote about them when Chris Csikszentmihalyi spoke at the Share Conference in Belgrade), it doesn’t sound as a big deal. 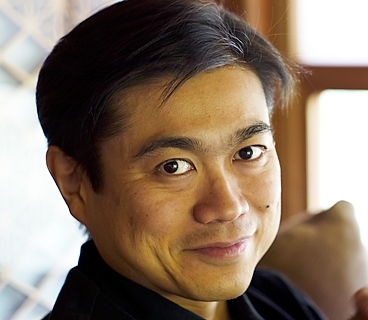 I mean, this is the guy they refer to in the their press release as: “an influential thinker, speaker, and seed investor driving the international development of the Internet, Ito is widely recognized as one of the world’s foremost writers on innovation, global technology policy, and the role of the Internet in transforming society in substantial and positive ways. Through his leadership role in key Internet organizations such as ICANN and Creative Commons, his venture funding, and his advocacy of Internet freedom, he continues to expand his influence worldwide”. And this is also a guy that is an investor in project such are Flickr, Last.fm and Twitter. How cool is that? One of the top Universities, one of those that other Universities all over the world look up to for ideas and inspiration, does something really unusual and unorthodox – makes Joi a Head of the institution that is guilty for technologies behind Google Street View, E-ink (used in Kindle and other book readers), 100$ laptop, and Head of guys that designed all the cool ideas in Minority Report movie, for example. Ha! Back to the topic – even if this wasn’t MIT, even if it was some small college in Serbia, it would still be a huge thing for the whole education system worldwide. If you’re my regular reader, you know what I think about Education systems and its incorporation in today’s business, and how I support Ken Robinson and his ideas about paradigm shifts in education, and also Marcus Orlovsky and his ideas of the school of the future. Having that in mind, can you imagine how excited I was to learn that someone is actually actively changing the paradigms? This is a sign that someone out there actually uses common sense and cares about the essence instead of the form. And this is a GIANT step forward, no matter how small it looks like. I hope other Universities will look up to MIT and realize that learning is no more about diplomas, but about passion to learn and access to knowledge. I also hope that businesses will understand that people with diplomas are not even potentially better then those without, unless diploma comes from institutions that is about knowledge and not grading. Whole system today is based on the grading made by Universities of the past, and the sooner we realize that, the better. Note: some of the information used from NY Times, Joi’s blog and MIT press release. Everything you wrote – Big Truth! Great post, Nino! Diploma is only entry ticket for the party. And how much you will be successfull at that party you will see in the morning when you wake up near the someone or not! Unfortunately or not, you have to have diploma to join the party. Yup, that’s how it is… But my point is – you can’t use the ticket for Shakira on Joe Cocker’s concert… They might cost the same, but they are not of same quality, and neither Joe will enjoy my presence there, nor will I.
I agree. But you will agree with me if I say that a lot of people will get a free tickets for Shakira’s concert because they just have to fill capacity because it is not a such a big quality. Also you can’t use your ticket for a two concerts of Joe Cocker. But, if we speak about really good quality concert then you will still need to have almost a VIP tickets or you have to have a lot of money to bribe a guy on the door. Or just have to know someone who knows someone :). Unfortunately a lot of water will be gone before they change rules. I understand your point. And I support MIT’s decision. In toursim business in Serbia even if you have faculty diploma or some bigger education level, you can’t join at the party and show them what you know (regardless of your ideas, experience, inspiration etc. ), because they require a specific faculty diploma (social or economic science) to be a head of tourist agency. I’m not speaking about owners of TA, I’m speaking about serbian law. That is a stupidest thing I heard in my life. We have a lot of company who has their policy about requires of your education and experience and who cares does I respect that or not, but also and after all, you don’t need to have any diploma of any faculty (correct me if I am wrong) to be president of Serbia :).